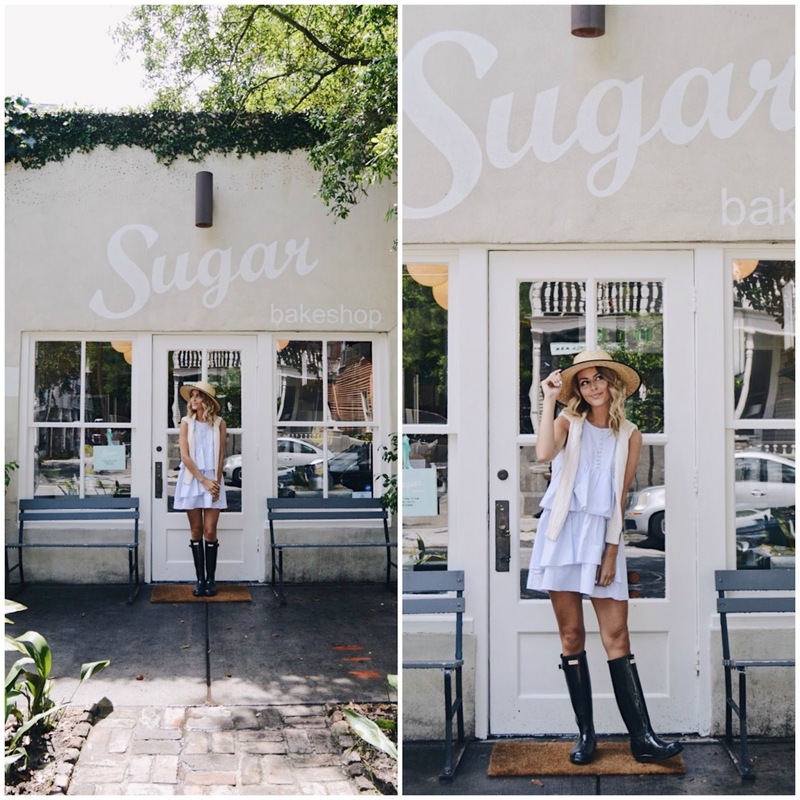 A Quick Trip to Charleston. 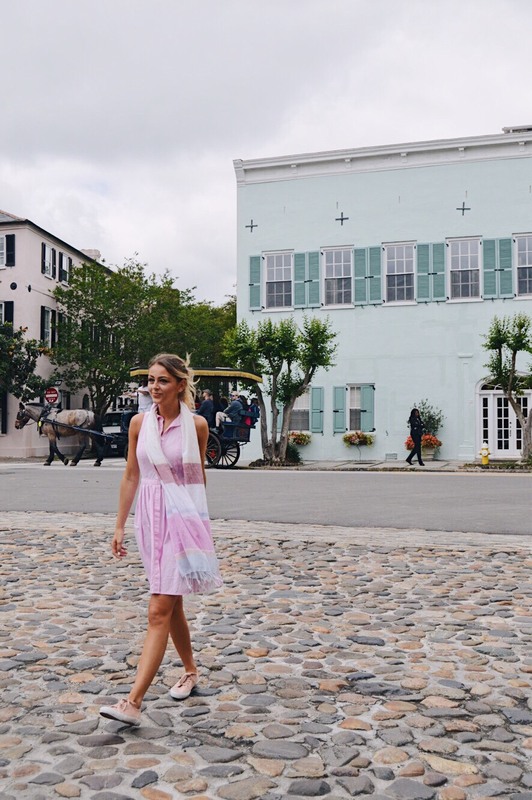 Earlier this week my sister and I set off to Charleston for a mini vacay. 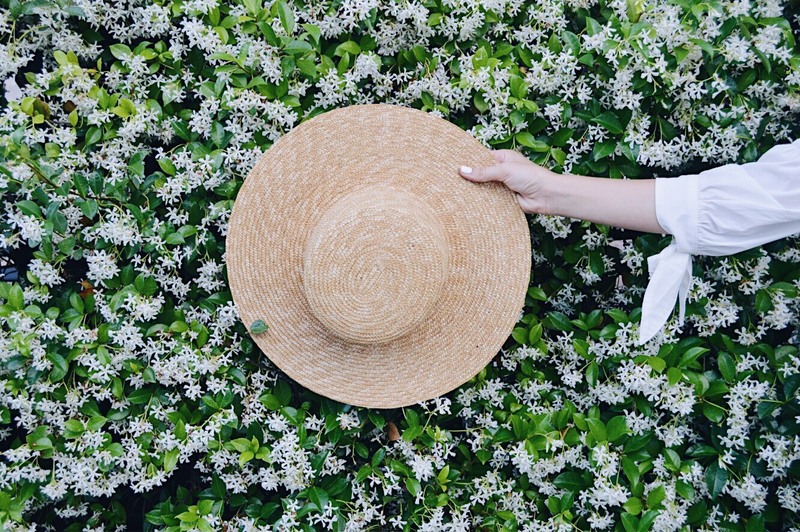 We had less than 48 hours in the city so we wanted to make the most of our time and fit in as many things as possible. 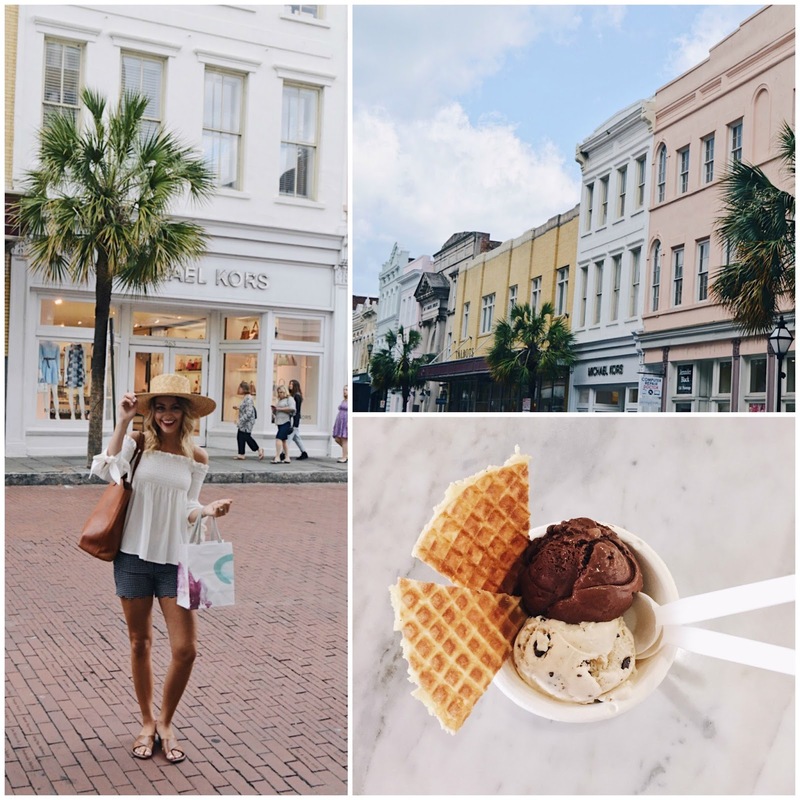 I had only been to Charleston once before (here) and this was my sisters first time so we had many things on our to-do list. 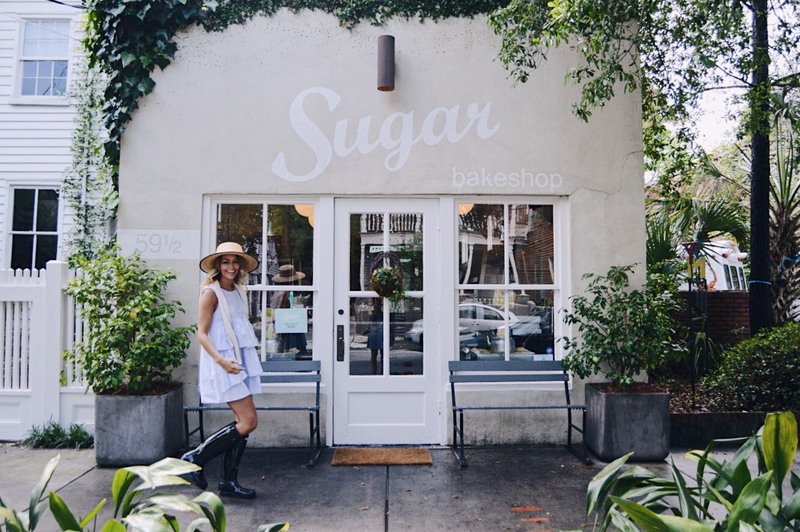 Our first stop in the city on Monday morning was Sugar bakeshop. 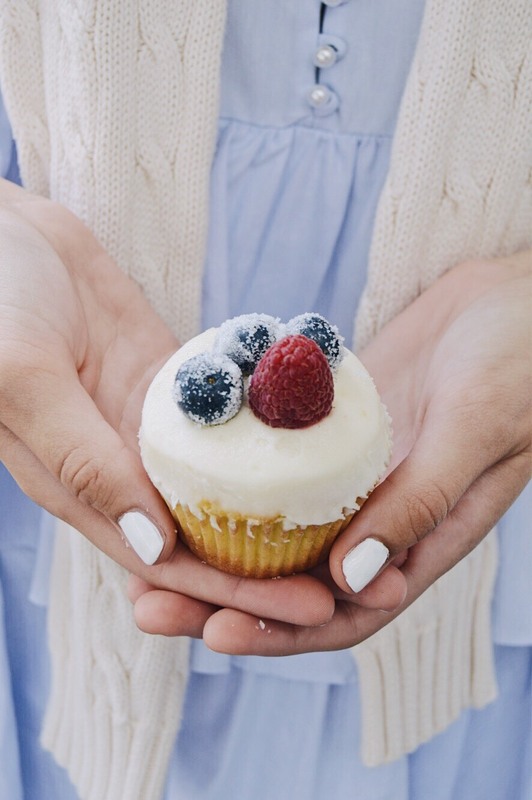 After seeing this cute lil' bakery all over Instagram I just knew I had to go and try one of their pretty cupcakes for myself. I indulged in a grapefruit cupcake while my sister went for the chocolate honey- both were scrumptious. 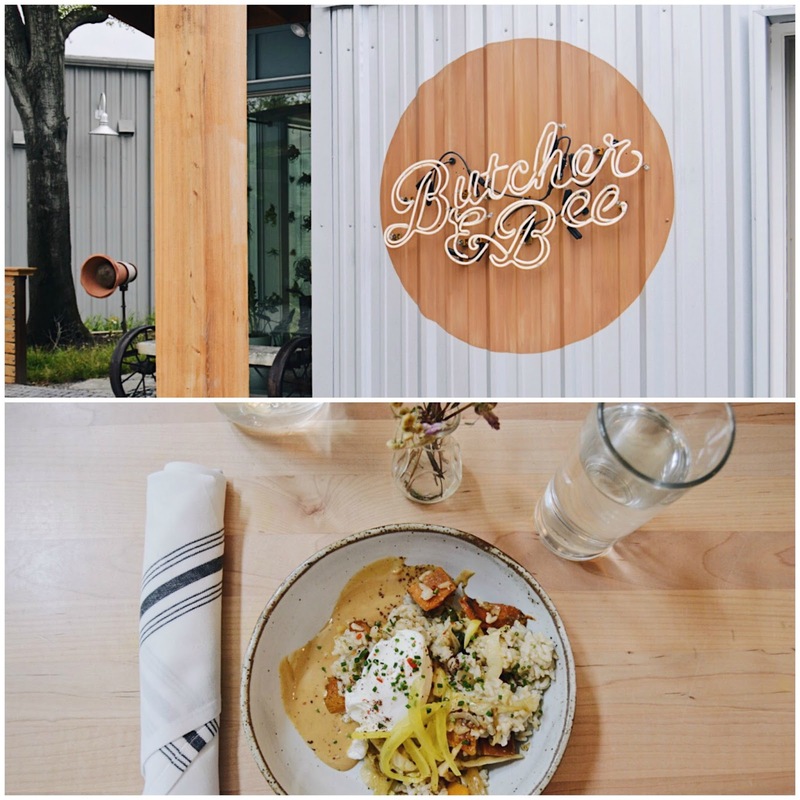 We then decided we should fill up on something more substantial, so we went to Butcher & Bee for lunch. We both had the brown rice bowls which were recommended by Gal Meets Glam, and they did not disappoint! 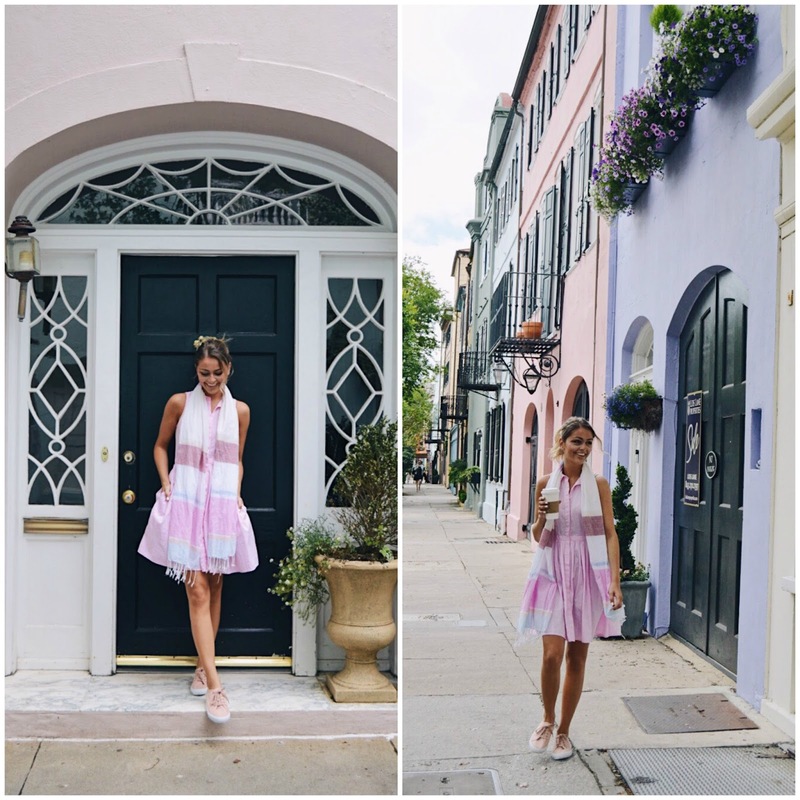 After lunch, we drove into the historic district, parked our car and just got out and walked around the neighborhoods, admiring all the pretty homes. 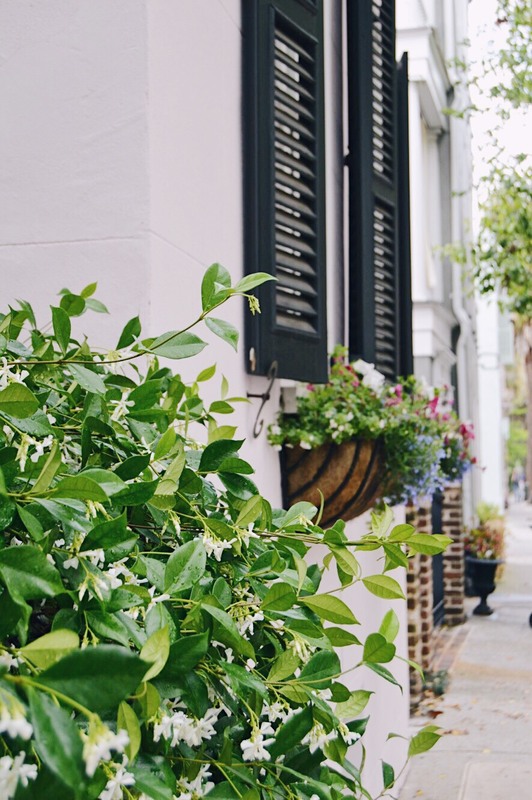 The sweetest scent of confederate jasmine filled the streets, which made Charleston even more lovely. We then headed to our hotel to check in and freshen up for the evening. I slipped out of this ruffled dress and into this off the shoulder top from Forever 21 and some scalloped shorts for a more comfortable look. We then made our way over to King Street and popped in and out of a few shops. King Street has all of my favorites- J Crew, Anthropologie, Banana Republic etc. After a little shopping, we went and grabbed some ice cream at Jeni's Splendid Ice Creams. We shared a cup of darkest chocolate and salted peanut butter cup (& it comes with a piece of homemade waffle cone!) YUM. Dancing with the Stars was on tv that night so we called it quits pretty early in the city and headed back to our hotel. We had ourselves a late night McDonalds run (lol) and then we snuggled up in our pjs and went to sleep. 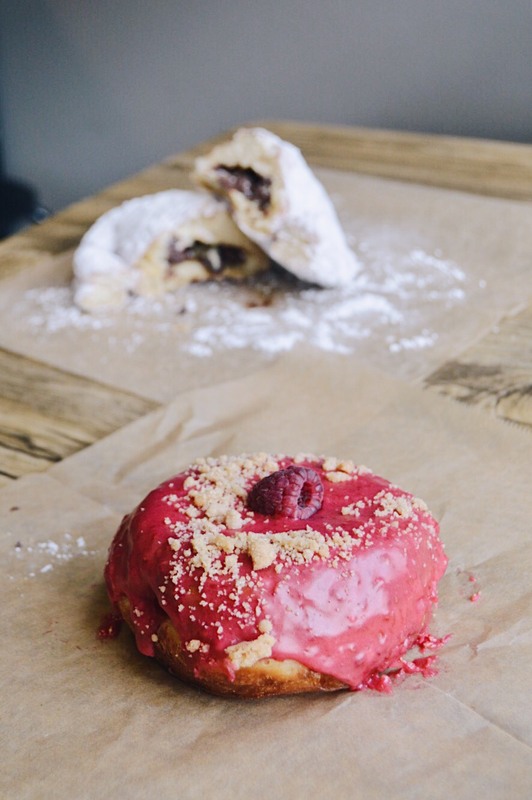 The next day we woke up bright and early, quickly got dressed (I wore a pink shirtdress, similar here) and we headed over to Glazed Gourmet Doughnuts for a sweet treat- the raspberry doughnut was incredible! 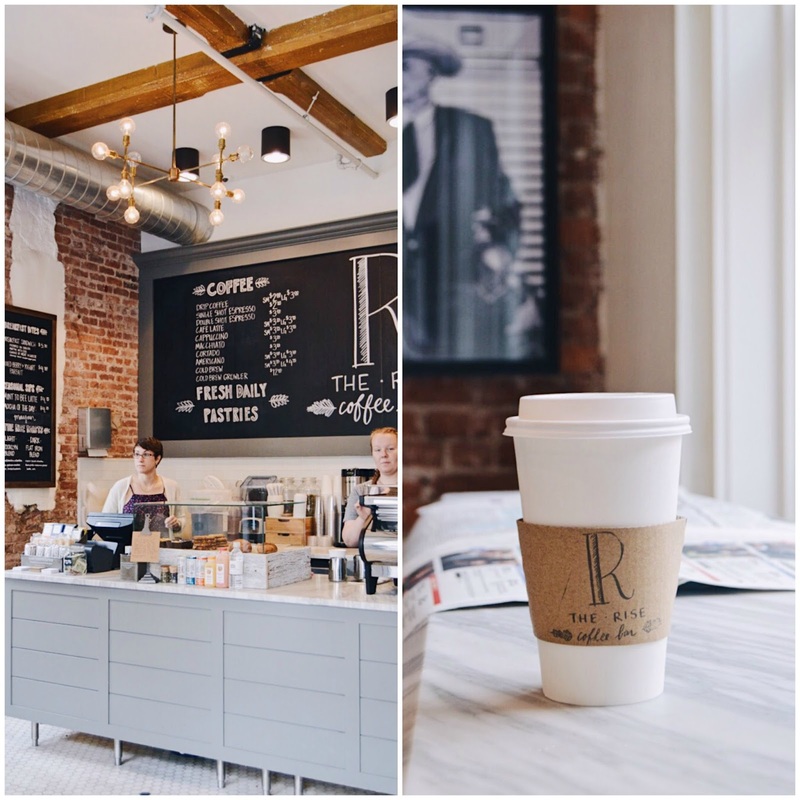 Coffee was a must, so we walked a few blocks over to The Rise Coffee Bar for a little caffeine fix (this place is so aesthetically pleasing, there's marble everywhere!) I wasn't thrilled with my latte, but hey at least I got a cute Instagram photo with it ha! 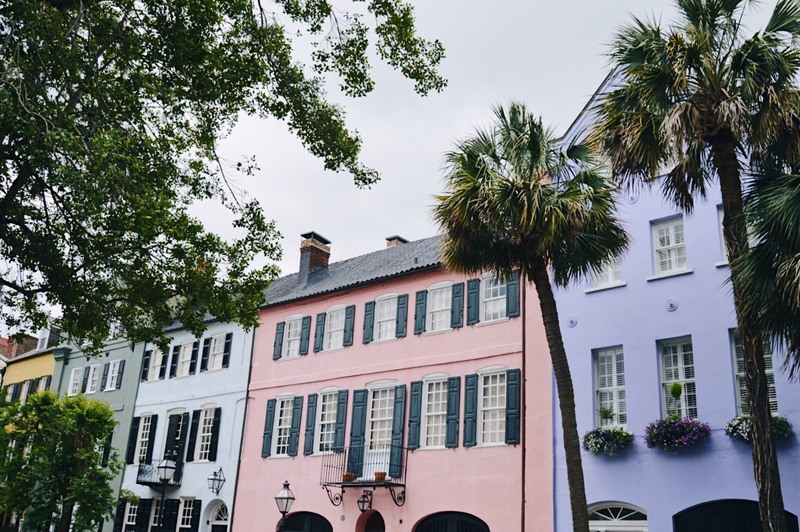 After breakfast we made our way over to Rainbow Row- an absolute must see in Charleston! The colorful homes are absolutely darling and I couldn't help but stop and take a picture by every single one of them. From there we headed over to Waterfront Park to catch a glimpse of the pineapple fountain. 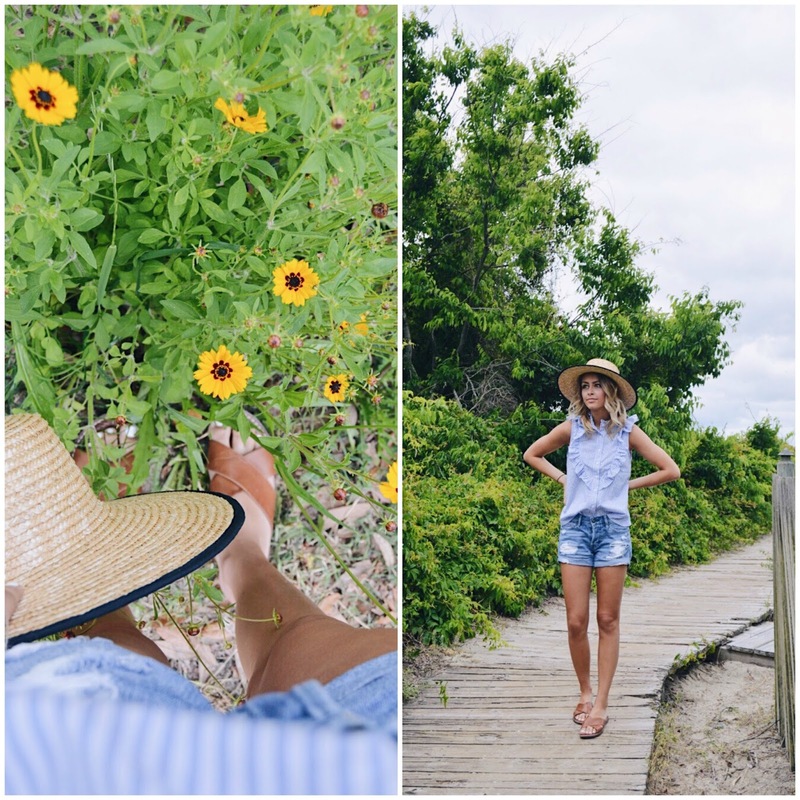 By this time my feet were absolutely killing me (note to self: wear comfortable shoes when in Charleston) so we decided to go back to our car, change clothes (and shoes!) and drive 25 minutes over to Sullivan's Island. 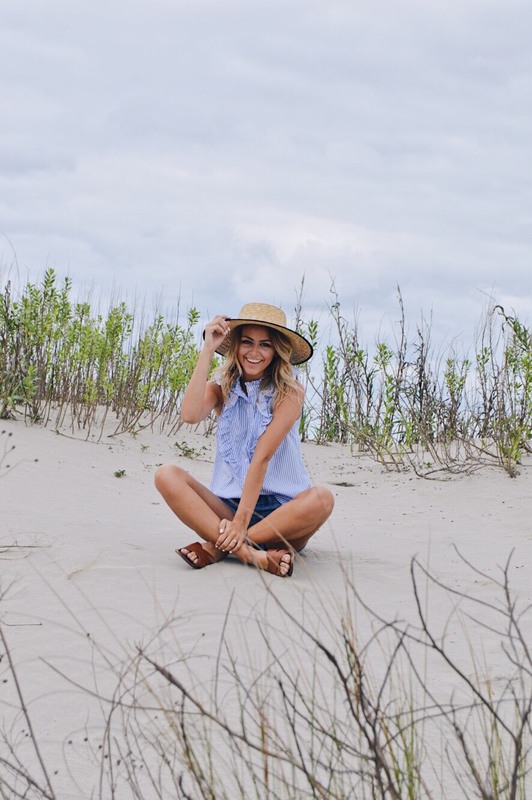 Sullivan's Island is a quaint little beach town just a few miles outside of Charleston. We had gigantic burgers for lunch at Poe's Restaurant just before heading to the beach for an afternoon stroll. 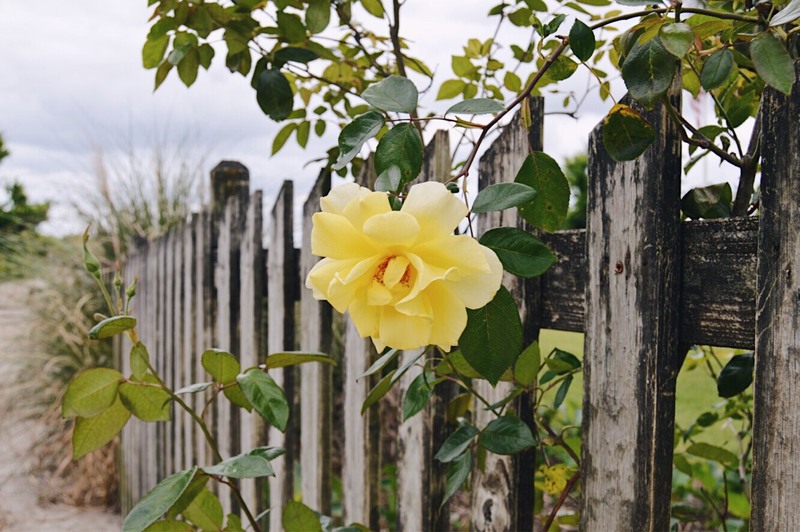 Unfortunately we could not stay too long because we had a three hour drive back home ahead of us, but our time in Charleston and Sullivan's Island was so much fun and we hope to be back very soon, as there is still so much to do and see in this charming place. ADORABLE photos! You're to cute! Can't wait to follow along with your adventures!!! !